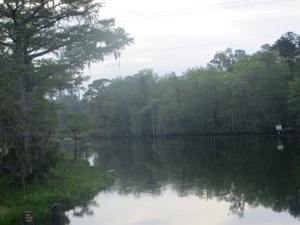 Our cue sheet was very brief today: left out of the hotel in Crawfordville, cross Wakulla River, cross Aucilla River, turn right onto Hwy 19 to Hampton Inn. 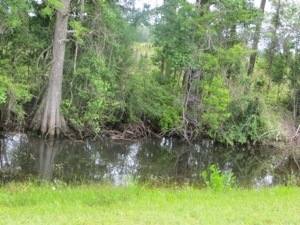 And the road we were traveling was similarly ‘boring’: for 40 miles, there were trees and swamp on either side of the road, and virtually no houses or other signs of life, except occasional cars and trucks. 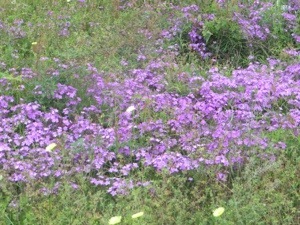 The last 10 miles, we saw cows in pastures. 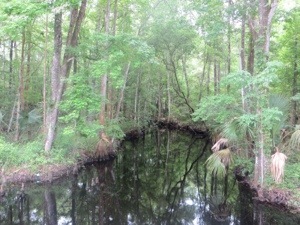 I did take pictures at the Wakulla River, which begins at the spring we visited yesterday. 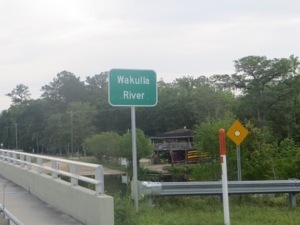 No photos of the Aucilla River, as we were concentrating on riding the temporary grate bridge. 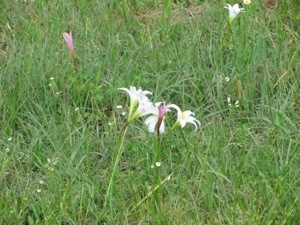 I did enjoy these new flowers along the roadside. 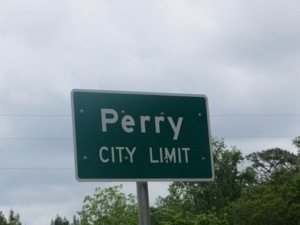 When we arrived in Perry, we decided to explore the historic Main Street area. 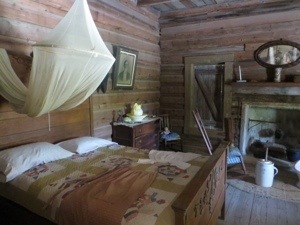 We had lunch at Johnson’s Bakery, then got cash at the local Wells Fargo branch – basic necessities of life on the road. 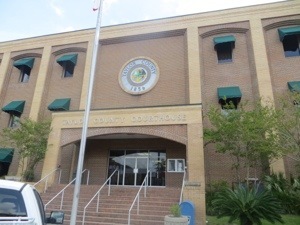 We rode past the County Courthouse. 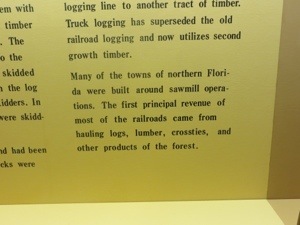 Back on the route, I elected to Dolly Dawdle to the Forest Capital Museum State Park, to learn more about the lumber industry in Florida. 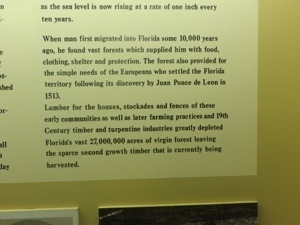 Early settlers made turpentine from the pine trees in the area. 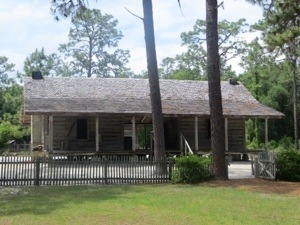 The “Cracker” homestead, also in the Park, dates from 1864. 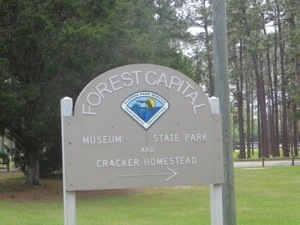 “The term ‘cracker’ refers to the settlers who lived in the rural areas. 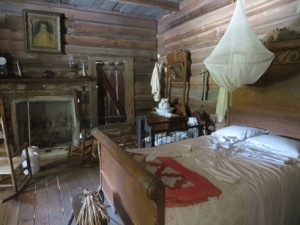 They may have acquired this name from the early Floridians who cracked their whips to drive their cattle and oxen.” According to the brochure, the house reflects a distinctive architectural style in Florida, using a breezeway to separate two single room cabins. 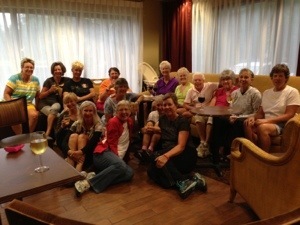 The Hampton Inn where we are staying had a nice Happy Hour, which many of us enjoyed. 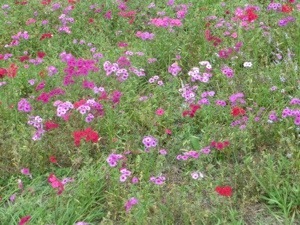 A group of us ate at Mama’s Italian Family Restaurant near the hotel, as it was Linda’s night off. 57 miles today; average 11.7 mph.